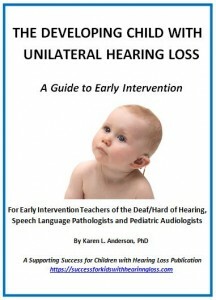 Unilateral Hearing Loss — Generic 2—page brochure This brochure can be provided to families at the time of diagnosis of unilateral hearing loss in young children. It can also be used to raise the awareness of medical or educational staff regarding the developmental risks associated with unilateral hearing loss. Hearing Loss in One Ear —Brief summary information for parents that encourages them to take the presence of unilateral hearing loss and the need for action seriously. Relationship of Hearing Loss to Listening and Learning Needs — Unilateral Hearing Loss — This single-page handout can be used to assist in planning a young child’s transition to school. It can also be used to inform teachers, other school staff, and medical providers on the potential affects of unilateral hearing loss on learning. Research and guidance paper on Managing Children with “Little” Hearing Losses. Written in 2001, this review of the research related to early management of children with unilateral and mild hearing loss is still relevant to audiologists and early interventionists. Link to 2017 Phonak Unilateral Hearing Loss in Children Conference: includes presentation PDF PowerPoints and videos of presentations. Download the following handout Accommodations for the Child with Unilateral Hearing Loss Also refer to the parent resource page on unilateral hearing loss for more information. A step-by-step Guide to Early Intervention for children with UHL. A summary of research that supports why there is concern over the development of children with unilateral hearing loss. Research published in the 2013 International Journal of Pediatric Otorhinolaryngology presented analysis of literature the authors reviewed on UHL. Excerpts below. Refer to full article for their complete research review information. Note: this article is not exhaustive in that it did not include a review of all known articles in the field of audiology (2005). Nonetheless, it is a refreshing view from the field of pediatric otolaryngology. Results: Unilateral hearing loss can be detrimental to the academic success of children. 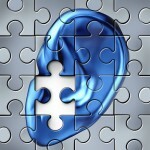 Effects encompass not only auditory effects such as difficulty hearing in noise, but also self esteem and exhaustion. Although assistive devices were traditionally not offered as options, more recent literature suggests that devices such as BAHA, hearing aids, or FM systems may provide aids in the classroom and that early intervention may provide more favorable outcomes. The personal ear-level hearing aid that includes FM capabilities has garnered much success in that it is less noticeable than the portable speaker, less expensive than installing speaker systems throughout each classroom, and is fine tuned to each individual who will utilize it. Still, it is often met with the problem of non-compliance due to discomfort and embarrassment. The contralateral routing of signal (CROS) amplification device has proven to be of particular benefit in quiet settings. In noisy settings its efficacy is hindered due to amplification of extraneous noise that drowns out the intended signal. The most recent development to assist those with UHL is the bone-anchored hearing amplification device. 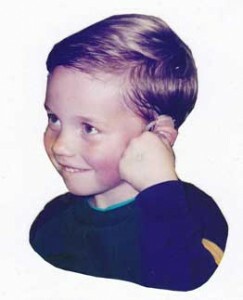 Having bypassed the external and middle ear compartments, the signal can then be relayed to the functional cochlea to hear – providing binaural hearing to those patients with ipsilateral conductive hearing loss and providing a contralateral microphone to an only-hearing ear in patients with sensorineural hearing loss. This device has proven superior to the traditional conductive hearing aid in audiologic measures as well as comfort and satisfaction when compared to traditional externally worn devices. Primary drawbacks include the need for essentially irreversible surgical placement of the titanium implant and local skin irritation and scar formation. Conclusion: Since the 1980s, the approach to management of unilateral hearing losses has evolved. In order to maximize academic potential, treatment options should be discussed and implemented. The traditional dogma for the minimalist approach to management of the patient with UHL should be re-examined and modified by current evidence. The ideal treatment modality for each individual may vary depending upon the specific needs of the patient. With any treatment modality, early intervention may be the key to maximum benefit, and the student/patient will likely benefit tremendously by removal of obstacles to the acquisition of the necessary devices and services. Teacher inservice is important. Provide teacher with Relationship of Hearing Loss to Listening and Learning Needs – Unilateral Hearing Loss It is also helpful to ask the teacher to wear one noise protection ear plug (purchase at drug stores or hardware stores) and demonstrate listening from various parts of the classroom, with and without noise, with back turned and from different seats in the classroom. Seating in the rightmost (for good left ear) or leftmost (for good right ear) row is suggested so student’s better hearing ear will almost always face the teacher. Allow child to change seat locations to direct the normal hearing ear toward the primary speaker and to close the classroom door if he/she is bothered by hall noise. Student should be encouraged to turn in his or her seat to face a classmate who is speaking. Teacher should summarize key points spoken by classmates so that this information is accessible to the student. Use of a personal FM system to enhance reception of the teacher’s voice is usually warranted. The FM is typically placed in the student’s better hearing ear. An alternative that is less effective is placement in a classroom with a sound field amplification system (amplifies what the teacher says for the whole class). Pre/post testing with the Listening Inventory For Education will assist in verifying the student’s benefit of assistive amplification. Educational monitoring is warranted. Teacher completion of the Screening Instrument For Targeting Educational Risk in October (January) and May will allow the student’s function in the classroom in comparison to peers to be easily monitored. If using a hearing aid and/or personal FM, the student should be involved in regular amplification monitoring and should receive instruction in how to become his/her own ‘Technology Specialist’. Student will benefit from being in contact with other students who have typical hearing in only one ear as a source of mutual support. Facilitated contact through chat rooms, Skype, penpal, or face-to-face formats is strongly suggested so that the student does not feel as isolated and can benefit from brainstorming listening and social issues faced due to unilateral hearing loss. Teacher should be aware of the potential impact of unilateral hearing loss on socialization and behavior and provide support when natural opportunities occur to help the student to fit in and be seen as a valuable group member.